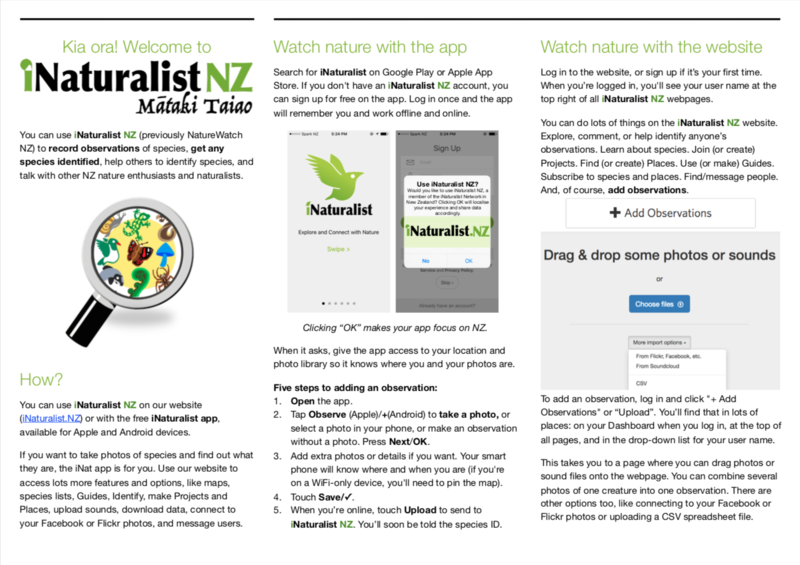 We've made a pamphlet to introduce iNaturalist NZ — Mātaki Taiao to new users. We print it out and take it with us when we're at workshops and community events, along with our business cards. 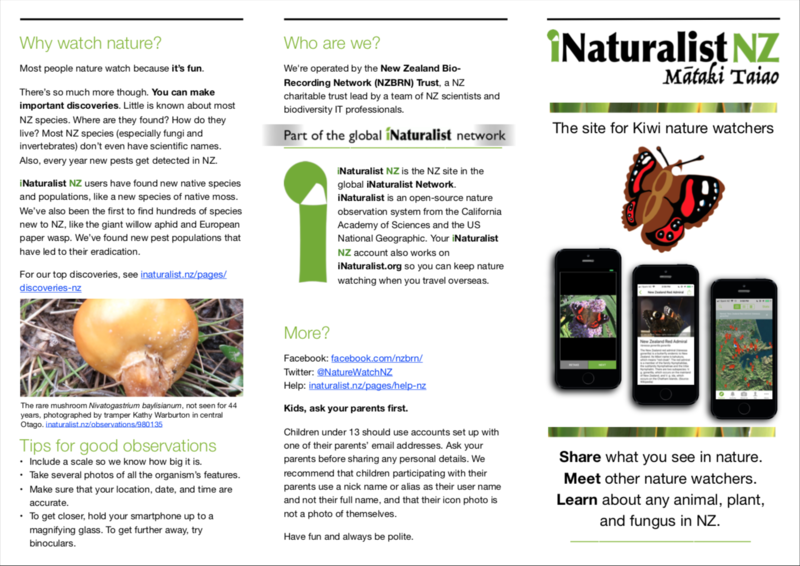 Let us know at help@inaturalist.nz if you'd like a high quality PDF version to print it out and use yourself. Print it double-sided and fold it into three and you're good to go. You can see what you'll get below.